You can now subscribe to individual artist RSS feeds. 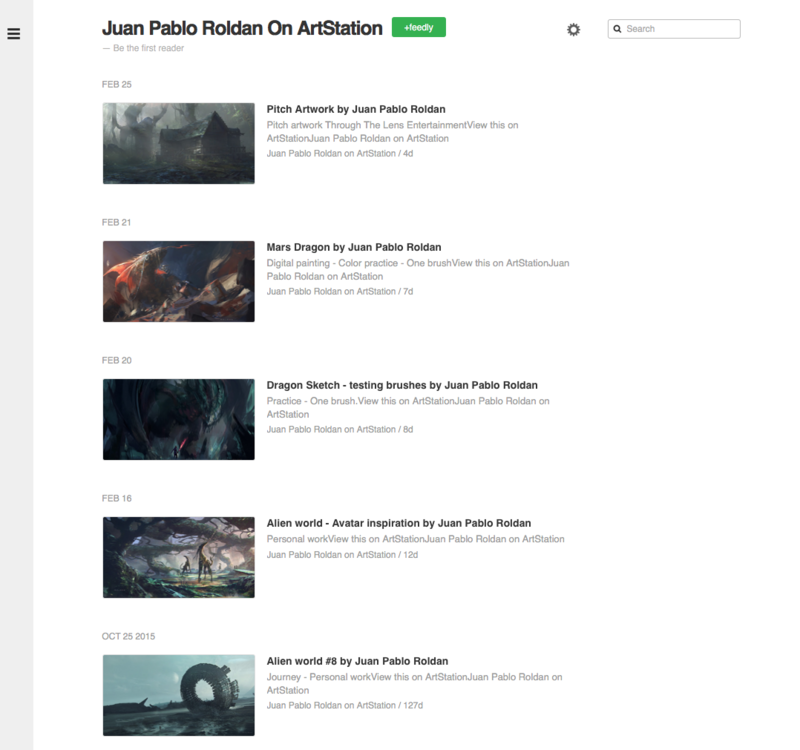 Simply point your favourite RSS reader to the artist’s ArtStation community profile and it should give you a feed of their latest works published. E.g. On Feedly, simply copy the user’s ArtStation portfolio URL in, and you’ll get updates from that artist.